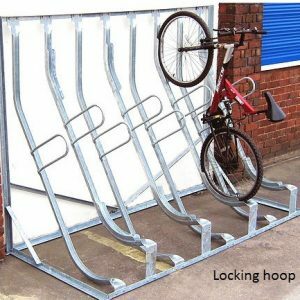 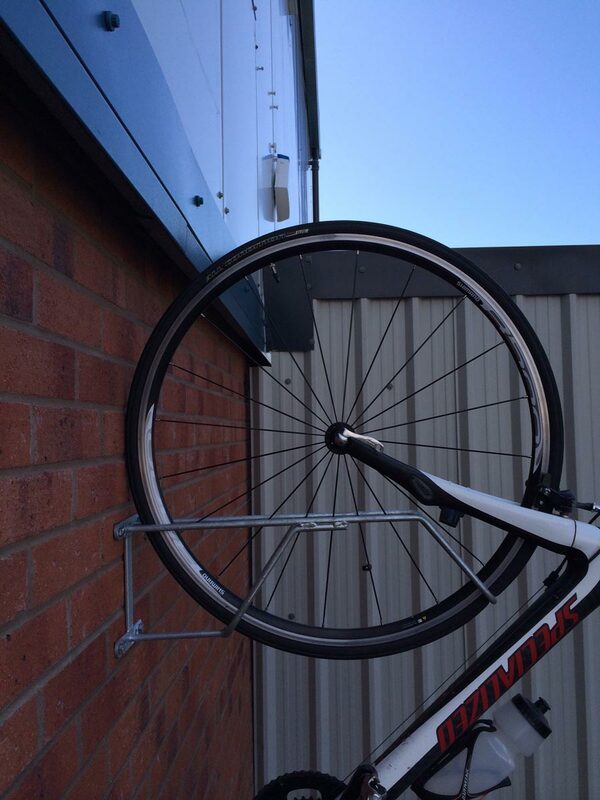 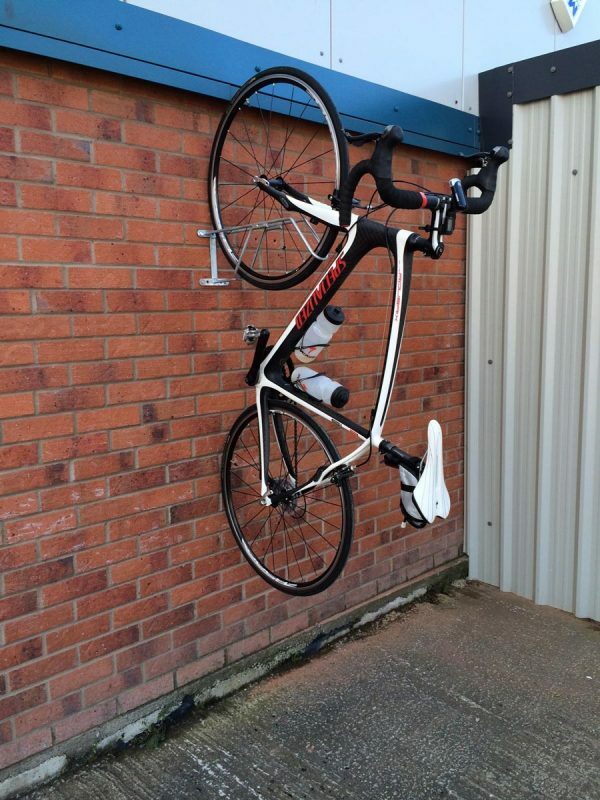 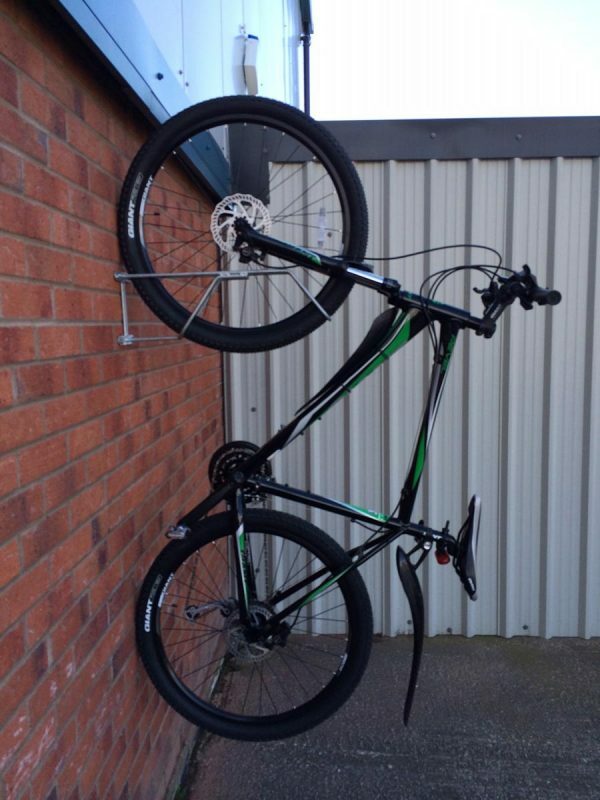 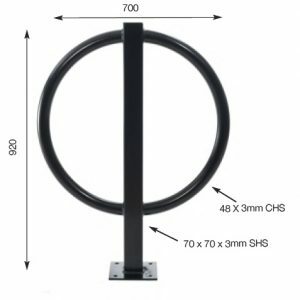 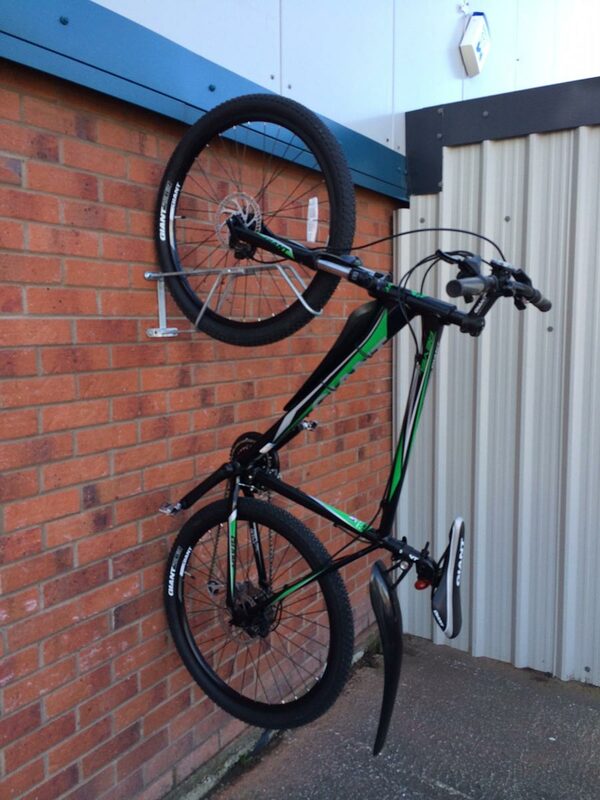 The bike wall hanger holds 1 bike, a semi secure solution for storing your bikes on a wall. 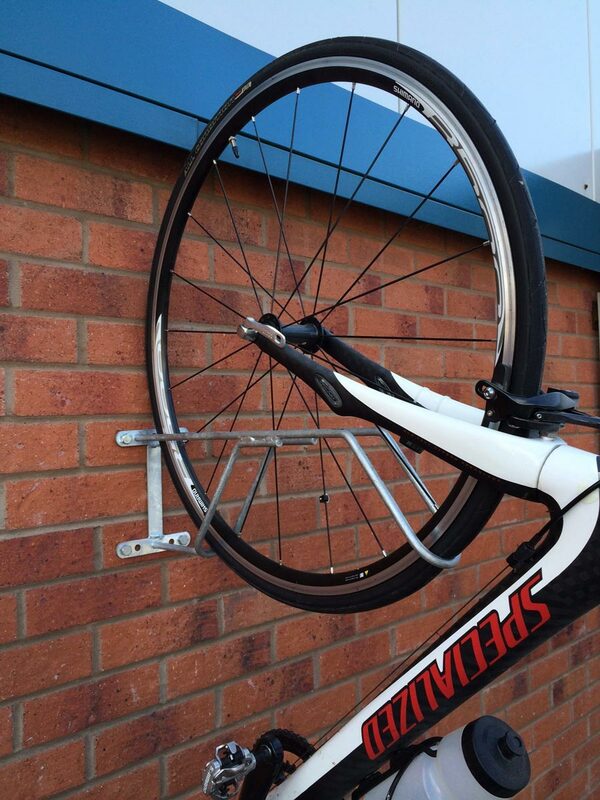 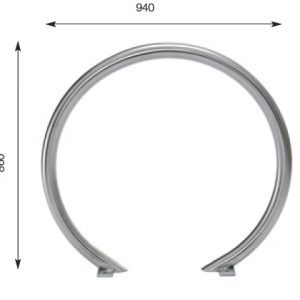 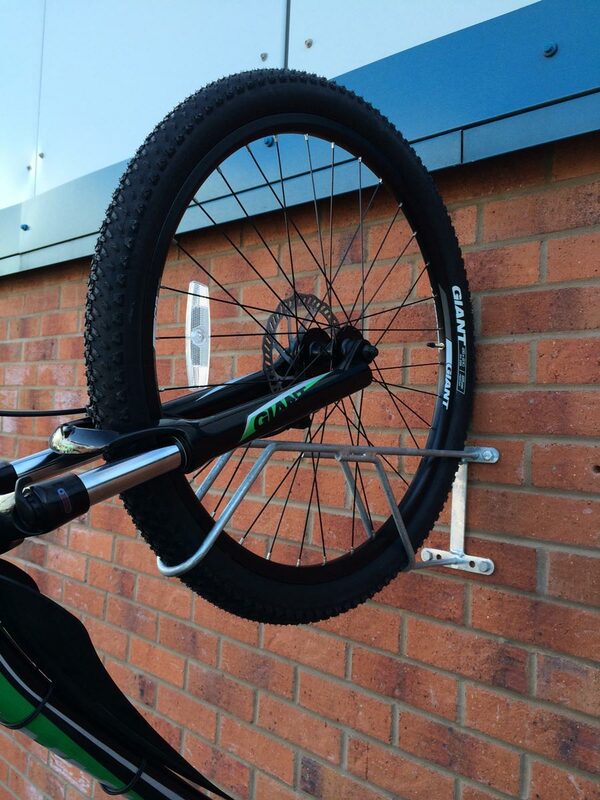 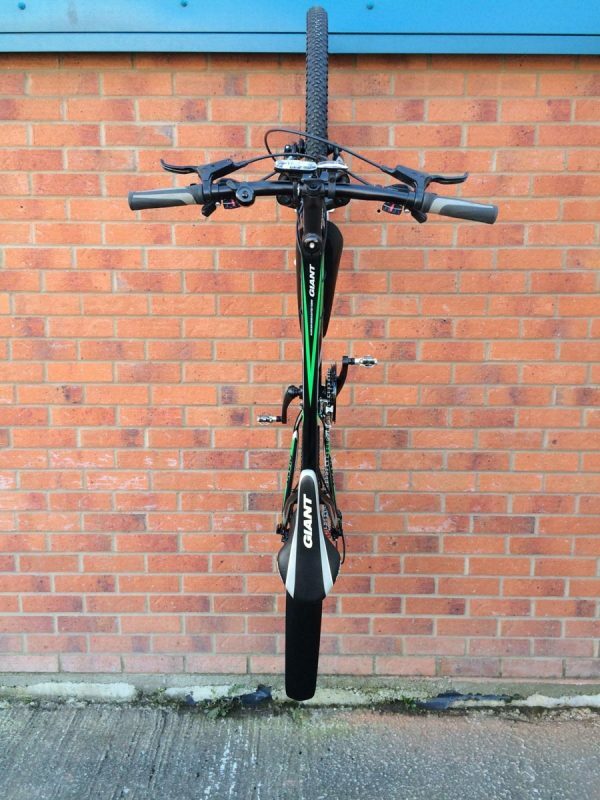 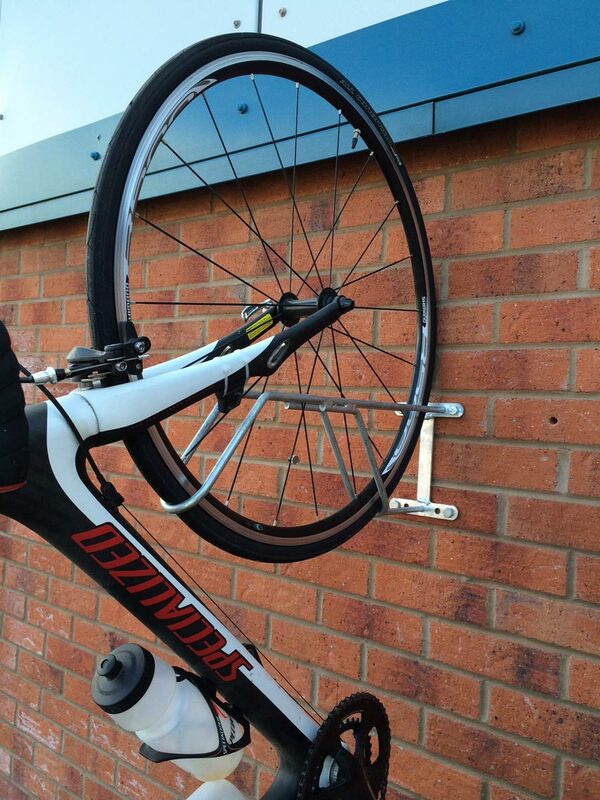 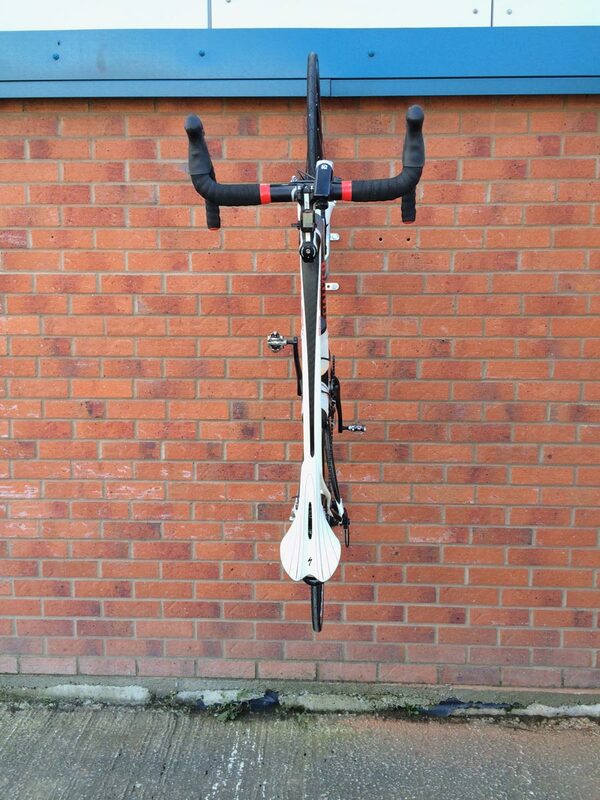 The Wall hanger supports the bike against the rubber of the tyre, as not to damage expensive wheels. 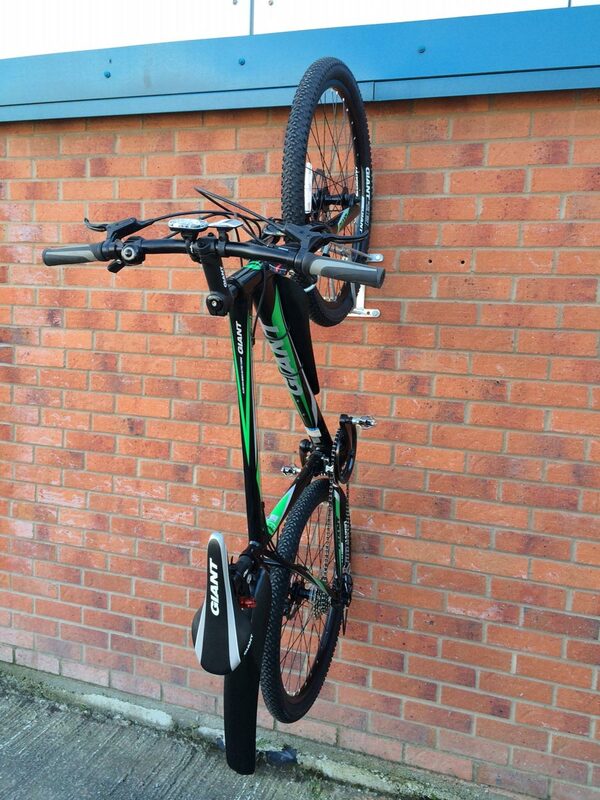 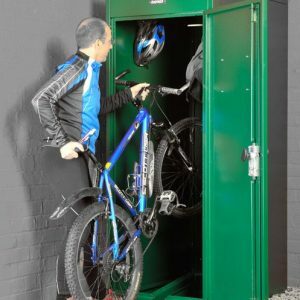  A cost effective space saving system.